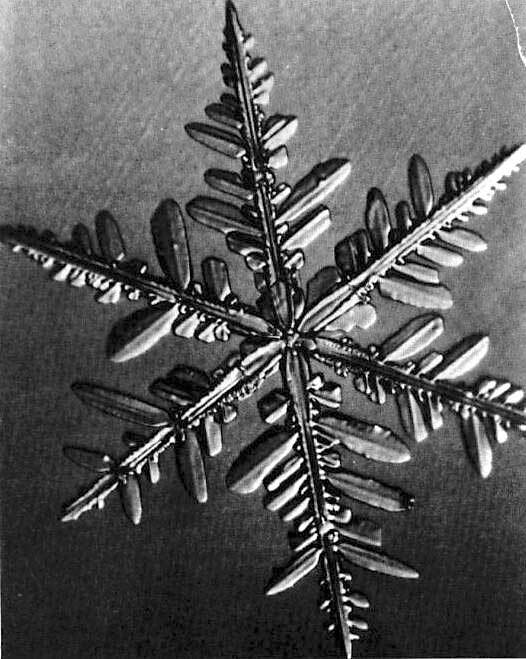 The snowflake (or ice crystal) is an apparent example of how a naturally ordered structure can arise. 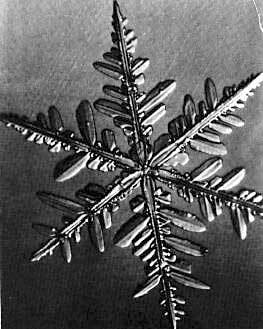 When the water freezes, the water molecules order themselves into a special pattern, a so called crystalline structure. The water molecules are ordered with respect to each other according to their charge distribution. The pattern is not fixed since there are many different configurations which give a low energy and therefore are more or less equally preferred. If you compare a number of snowflakes you will notice this. In fact you will hardly find two with the same pattern.